Genesis names four rivers which delineate the location of Adam's home. ... the term "heads" can have nothing to do with streams into which the river breaks up after it leaves Eden, but designates instead four separate branches which have merged within Eden. The fourth river is easiest to identify as the well-known Euphrates, which today is joined by the other rivers before emptying into the Persian Gulf. At this point in history, roughly 7,000 years ago, the gulf region extended further north and all the rivers emptied directly into the Persian Gulf. The Hiddekel is the Tigris, the "great river" Daniel stood beside (Dan. 10:4). It originates in the region of Assyria, flowing southeast until it joins the Euphrates at a point east of Assyria, just as stated in the Bible. M'Causland identifies the Gihon as the "Gyudes" of the ancients, the modern Karkheh joined by the Kashkan River in the region of Cush, or Kush, in Eastern Mesopotamia. Today it is called Khuzistan, a province in the southwest corner of Iran, formerly home to the Kassi of the cuneiform texts. 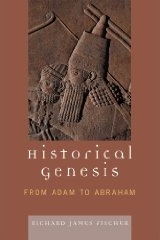 Genesis was written from a Hebrew point of view. It says the Garden was "eastward," i.e., east of Israel. It is quite specific about the rivers. The Tigris and the Euphrates are easy because they still flow. At the time Genesis was written, the Euphrates must have been the major one because it stands identified by name only and without an explanation about what it "compasseth." The Pison can be identified from the Biblical reference to the land of Havilah, which is easily located in the Biblical Table of Nations (Genesis 10:7, 25:18) as relating to localities and people within a Mesopotamian‑Arabian framework. Supporting the Biblical evidence of Havilah are geological evidence on the ground and LANDSAT images from space. These images clearly show a "fossil river," that once flowed through northern Arabia and through the now dry beds, which modern Saudis and Kuwaitis know as the Wadi Rimah and the Wadi Batin. Furthermore, as the Bible says, this region was rich in bdellium, an aromatic gum resin that can still be found in north Arabia, and gold, which was still mined in the general area in the 1950s. Bible scholars have identified Havilah with the Arabian Peninsula because it is rich with bdellium (fragrant resins) and precious stones, but they have been unable to pinpoint the location of the river in this arid region. The recent discovery of the Kuwait River adjacent to the Cradle of Gold, the only Arabian source for such "good gold," has led James Sauer to suggest that this dry riverbed may be the Pishon. Put in perspective, the most ancient cities of southern Mesopotamia, Eridu and Ur were located near the junction of these rivers, and Eridu when it was first settled on the Persian Gulf was furnished fresh water via canal from the Euphrates.